BLAZESOFT is a Platform-as-a-Service company specializing in cross-platform applications with enterprise-level Backend and CRM solutions for various business verticals – Gaming, Online Insurance, Loyalty platforms and more. We offer our partners a robust Gaming Engines, Simulators CRM platform and pre-developed applications in various genres. Blazesoft holds various Microsoft competencies, which provide added assurance that both the solution and the service that we provide is exemplary and will allow partners to leverage both their technical and industry expertise. 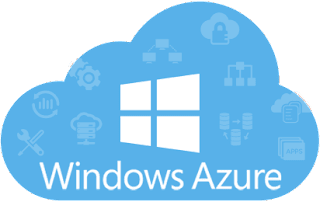 Sitting on the Microsoft Azure platform provides the greatest reliability, flexibility, and scalability for the best price. • Backend Platform-as-a-Service (Codename: BitGlu): Azure-hosted private cloud offering our customers to focus on the frontend development and integrated to ready to use backend platform. - Cloud Migrations: Blazesoft can help customers migrate their existing gaming/insurance solutions / Loyalty to our Cloud-based Platform-as-a-Service and helps to connect their frontend solutions (HTML / NATIVE) to our APIs. - DevOps Consulting and Implementation: Blazesoft has a strong DevOps consulting department with expertise in cloud infrastructure automation & helping enterprises and startups. Blazesoft’s team works very closely with our partners to design, build and deploy end-to-end cloud-based solutions for gaming/ insurance/finance/loyalty fields.